Timing Belt Replacement | St. Charles Missouri MO. Timing Belt Replacement What is a Timing Belt? 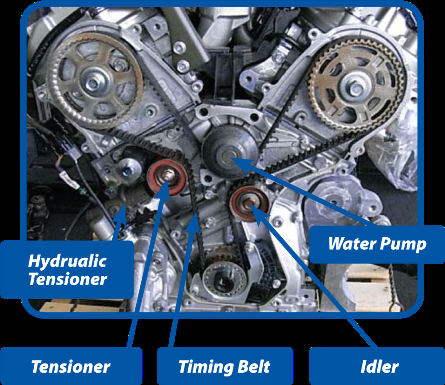 Timing belts are very common, especially in four-cylinder engines. That being said, there is no hard, fast rule about which vehicles have timing belts and which ones have timing chains. Your best is to look it up in your owner’s manual or to ask your friendly team at Sparks Tire & Auto of St. Charles, MO. Timing Belt video Timing Belt Video - the Forgotten Belt. This video stresses the importance of checking and following the manufacturers recommended replacement interval for the timing belt. Along with recommendations to replace the "hardware" associated with the Timing Belt (Tensioner, Water Pump, and Idler Pulleys) at the same time the Timing Belt is being replaced. To find out more information on our Timing Belt, Timing Belt Kit, Water Pump Kit, and Timing Component Kit, contact Sparks Tire & Auto. Manufacturers typically recommend a new timing belt at 90,000 or 105,000 miles. Your owner’s manual will tell you what is recommended for your vehicle. You can also look up the timing belt replacement interval online (such as at: www.MyTimingBelt.com). If you’re not sure, ask Sparks Tire & Auto, and we’ll be happy to help provide the information. Timing belts are considered wear items and should be checked according to the manufacturer’s recommended service schedule. Most manufacturers suggest replacing the belt between 60,000 to 105,000 miles. Check your owner’s manual or ask a Sparks Tire & Auto Service Technician about the specific schedule for your vehicle. A broken timing belt will stop your car…instantly. It can also result in costly engine damage and inconvenience. An engine is either “interference” or “free-running” depending on its design. If the timing belt breaks in an interference engine, an open valve may be struck by a moving piston. 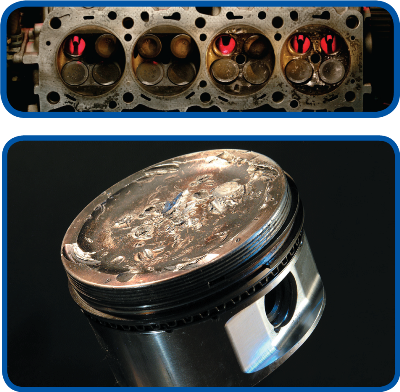 This can result in serious damage and expensive repairs, and in some cases a new engine. A “free-running” engine design will not result in extensive engine damages should the timing belt fail. The motorist will still have to deal with the inconvenience of being stranded, towing expense, and the cost of timing belt replacement. 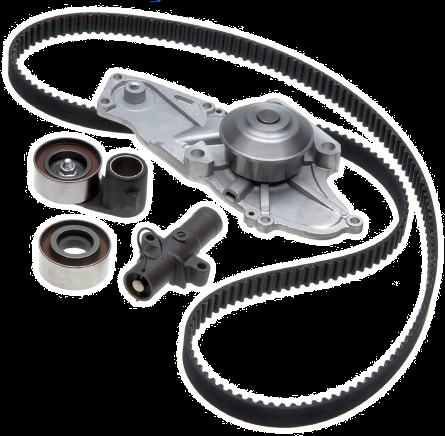 You can save considerable expense by replacing your already high mileage water pump at the same time you have the timing belt replaced. In both cases the labor cost is a large part of the expense and the labor procedures are basically the same. Doing everything at the same time will result in big long term cost savings. Ask a Sparks Tire & Auto service advisors to explain the components involved with your particular make and model. Why Choose Sparks Tire & Auto for Your Timing Belt Replacement? Sparks Tire & Auto is a friendly, family-owned business that’s been serving St, Charles Missouri and surrounding communities for more than 40 years.